Even the theme tunes were good for their heartfelt, poignant sitcoms. Oh BBC! Whatever happened to you? Is the World so bad you want to encourage people to be childless?! 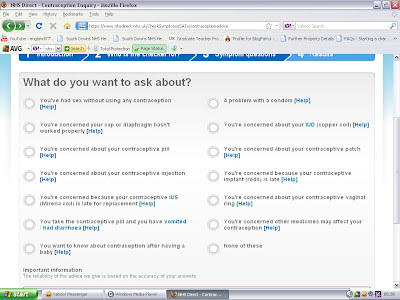 ...then why does the NHS Direct website suggest that contraception fails very regularly indeed? The website home page has a link to 'contraception enquiries', which, if you follow it will bring you to the webpage above. Other 'Symptom Checkers', which appear on the NHS Direct site every time you visit it are 'male sexual health' and 'female sexual health'. 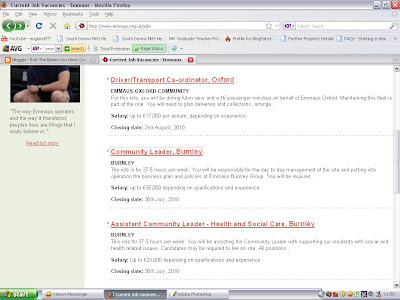 In fact, given that these are the only 'Symptom Checkers' that appear on the home page of the site, one could be forgiven for thinking that the NHS only exists to provide advice about 'emergency contraception', the most pernicious phrase ever invented, since the 'emergency' only becomes apparant once you are worried that you have already conceived. 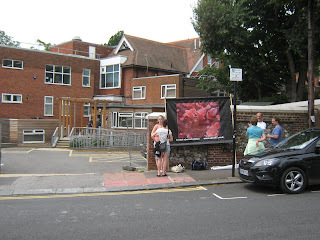 For one reason and another, I did not attend the pro-life display outside the Wiston Clinic off Dyke Road, Brighton today. By the way, I don't know why it is not called 'Wiston BPAS Abortion Clinic', but I suppose that abortion clinics would rather keep their practises available and legal, post-the Abortion Act (1967), but retain the 'backstreet' secrecy and shadowy vagueness of their operations pre-the Abortion Act (1967). Why aren't they honest? They need to sell themselves more. "Wiston BPAS Abortion Clinic: Premium Providers of Abortions to the Community of Brighton and Hove". "Lord, I am dust and ashes but allow me, if You will, to be bold with You. If I can find only ten just Bishops, will You spare us from liturgical innovations and 'Shine Jesus Shine'? Paul is a regular recipient of soup and sandwiches on the St Mary Magdalen Soup Run. He's been in Brighton for 6 months having left Nottingham and is concerned about what he will do when winter comes. I managed to talk with him on Sunday after Mass at St Mary Magdalen Church, having recognised him from the Soup Run. He sleeps at various points along the seafront of Brighton, in a tent with another homeless man. We talked at length about homelessness and in particular the efforts, or lack thereof, of the Council to provide assistance to them. Paul's experience of the services offered by the Council have been less than satisfactory. 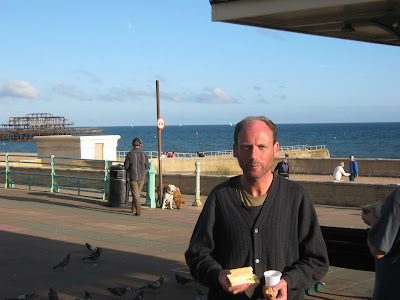 Paul says, "The big problems I am facing at the moment in my dealings with the Council is the local connection policy and in particular I have problems with the Rough Sleepers Team." On Tuesday I attended a pro-life vigil outside Wiston's Clinic. The vigil passed off peacefully. The police had been alerted by the organiser of the display and came to see us, telling us that it was all okay and above board and that they wouldn't be bothering us. It is the first time I have ever stood outside an abortion clinic bearing witness to the victims of abortion. As the day progressed, it became more and more obvious that the victims of abortion included the women who entered in those clinic doors. Someone clever once said you are never so close to God as when gardening. This is, of course, patently untrue, because we are closest to God when we receive Him in Holy Communion. Flippin' Protestants! 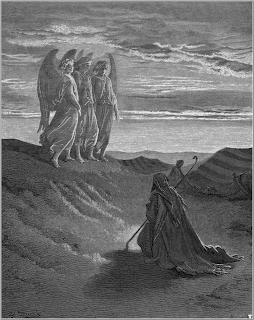 Still, how much closer are we to God when suffering, especially when we suffer willingly for the sake of the God who loved us unto death, even death on a Cross? We can suffer gladly in reparation for our sins, in union with Christ Crucified and offer up these pains for the conversion of sinners, the Church Suffering in Purgatory and perhaps most importantly of all, in these times when a Papal Visit to the UK is starting to resemble a drive in Helmund Province, the liberty and exaltation of our Holy Mother, the Church. A government manual instructing prison staff on how to inflict pain on teenage inmates was today labelled 'state authorised child abuse'. The Ministry of Justice was forced to release details of its approved 'restraint and (Was it like some kind of a journalistic headlock, do you think?) self-defence techniques' for children in secure training centres after a lengthy freedom of information battle. There are so many aspects to the 'women priests' argument that are at odds with the Church that it is difficult to know where to begin. Theologically speaking, on so many grounds, those who seek a change in Church teaching on this subject (or indeed any subject) are all at sea. Callings all people in Brighton. I have received an email from the local SPUCgroup. If you are a Brightonian who would like to be present at the display and vigil outside Wiston's Abortuary on Dyke Road in Brighton, please contact Andy at andy@abort67.co.uk. Andy has asked that I draw your attention to the Abort 67 website, but be prepared for some 'graphic' images which you may find very disturbing and profoundly distressing. More information to come as soon as I get it. If you cannot make it to the display...pray! I discovered with great joy yesterday that the Open Market off London Road is running car boot sales every Saturday 8am - 3pm throughout July and possibly every Wednesday in August. I managed to cram a load of tat (remember Gerald Ratner's big mistake?) from the garage of St Mary Magdalen's today into my car and flog some. It's really incredible what crap people will buy if its a bargain! Someone offered to buy my car. I said £5,000 minimum. He took my number! If I got that I'd get a half-decent van and start doing this buying/selling scam bigtime. We didn't do half-badly, not that great, but a weekly thing would be a regular source of income for the Building Fund. Who knows, maybe I can begin collecting stuff and make some money myself. Catholics in the United Kingdom, living in anticipation of the Papal Visit in September, have been bhoyed by the latest news sweeping across parishes concerning planned proceedings at Hyde Park. Individual parishes with parties of parishioners eager to sign up to see the Holy Father at Hyde Park had already been informed that 'liturgical entertainment' would be an exciting part of the day when Pope Benedict XVI arrives to give his blessing the faithful in London. It can now be exclusively revealed exactly what the Bishops Conference of England and Wales meant by 'liturgical entertainment'. Sources close to the Bishops had already mentioned that an exciting asian musical artist named may be involved in the planning and 'execution' of liturgical entertainment. In the increasingly heated battle between the liberalism of the secular world and the Catholic Church, the culture of death has claimed an unlikely and surprising victim. 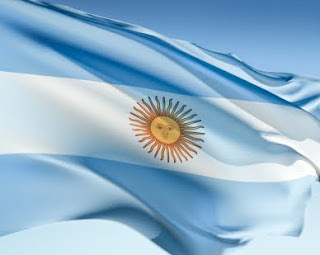 Now that Europe has largely thrown in the towel in defending Christianity, it looks very much as if Latin America, yes even Latin America, is going to fall, with Argentina the first country to cave in and 'legalise gay marriage'. Both Europe and Latin America has been given so much, especially by Our Blessed Lady down the ages. How terribly, terribly sad that nations so highly favoured should reject Heaven's Messengers and embrace new ideas about love and marriage which run totally contrary to the Gospel! Neil McCormick of The Telegraph has written about Mark Linkous, lead singer and songwriter of Sparklehorse, one of the few original songwriters in this age of terrible music. The singer/songwriter, who had a small but very ardent and loyal fanbase, committed suicide after years of depression, shooting himself in the heart in an alley in Knoxville, aged 47. The world has lost a tender musician out of whose sufferings came much beautiful music. Pray for the eternal rest of his soul. All round, it has been a sad time. 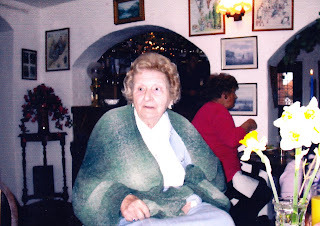 I lost my Godmother, Joan Sparks. She was a neighbour when I was growing up in Letchworth and was quite literally one of my favourite people growing up. She was very kind and I always remember that. Planet Earth. Isn't it beautiful? Earth. A planet on which tigers are a protected species but human beings in the womb are not. Who says there was no Fall? Still, for all of our crimes and misdemeanours which spring therefrom there is something essentially wonderful about mankind, the pinnacle of all creation. It is just a shame that this view is not held by Royal Society. I can't quite put my finger on why the Royal Society perturbs me. Perhaps its because there's too many people in it. No, its not that. Perhaps its because there's too many people in it espousing Hitlerian solutions to the 'thorny' issue of population. Yes, I think that's it, though it has to be said that the population issue appears only to be 'thorny' to those who hate people. I saw Fr Taddeusz, Brighton's Priest to the Polish Community yesterday, by sheer chance, at the Texaco Car Wash in Hove. We had both decided to take advantage of the petrol station's 'budget' offer of a car wash for just £2 - an absolute bargain, I think you'll agree. He was having trouble working the machine. The staff came out and sorted it out for him. What I found surprising was that he got out of the car just before the car wash started! He walked out and said, "I can't bear to be in the car when the car wash is going on. It frightens me." This after years of Communist persecution in Poland! He's an Oratorian and when he came over here went straight to the Brompton Oratory and was then sent to Brighton to serve the Poles. I was shown a CTS (Catholic Truth Society) leaflet the other day by someone who went into the CofE Church, St Bartholomew's, near London Road. It appears that the church have CTS leaflets about The Blessed Sacrament at the back of the Church. It's one of those 'high Anglican' churches. One of those 'Anglo-Catholic' churches. That's right, a Protestant church. They like traditional liturgy and having sacred music performed in their church every day and now it appears that they retain a healthy belief in the Real Presence, even though last I heard 99.9% of Anglican Orders are declared to be invalid. On Thursday, George, Diane, Mister Paul and I went to Under the Bridge Studio, now under the Station, since they moved from under the viaduct in Beaconsfield Road and hired it for a couple of hours to rehearse a few songs. Paul was on drums, George was on vocals, I was on guitar and Diane on tambourine. One hour had elapsed before we were all thrown out. Ted, who readers of this blog will remember I caught on camera singing 'Flaming Star' by Elvis outside the Unemployed Centre, was waiting in the hall way with Ross, asking to come in. Ross is a very talented harmonica player, who I had asked to come and jam. By chance he brought with him Ted, who fancied a bit of singing. "No 'Cult of Personality' Pathology to Be Seen Here...Move Along Now..."
I sincerely hope that during the upcoming Papal Visit, Mr Blair does us a favour and lays low for a while, following his long series of public statements against the Teaching of the Church, his public record as PM and prolongued failure to suggest he has changed his mind on any of those issues at which he was at odds with the Church, but I'm not holding my breath. Who knows, maybe he Cherie and Chris Patten have got a liturgical dance routine up their sleeve that they're not telling us about? Chris Patten, Emergency Diplomatic Golden Boy Following Gross Church Hierarchical Incompetence and Smoother Overer of Massive Cracks in the Organisation, Planning, Funding and Stewardship of the Papal Visit to the UK. We all know that Pope Benedict XVI is clever, learned, scholarly, intellectual, wise, highly intelligent and in possession of an IQ so high that he could beat the entire Tablet editorial team at 'Scrabble', 'Cluedo' or even 'Guess Who?' within minutes.